Pet vaccinations are designed to protect your pet from many different types of communicable diseases. Your vet at Rush Animal Care can administer the vaccinations on a strict schedule to boost your pet’s immune system for life. These vaccinations trigger the immune system’s ability to fight against the organisms that cause diseases, such as parvo and rabies. At our veterinary clinic near West Des Moines, we are committed to protecting your pet from the full range of diseases and other medical conditions with preventative care, such as vaccinations. Initial pet vaccinations are spread out across the early month of a puppy or kitten’s life. After completing the initial series, pets then require vaccinations yearly to remain protected. By spacing out the vaccinations on an age-based time schedule, your vet ensures that your pet’s immune system slowly learns how to eliminate those infectious organisms. 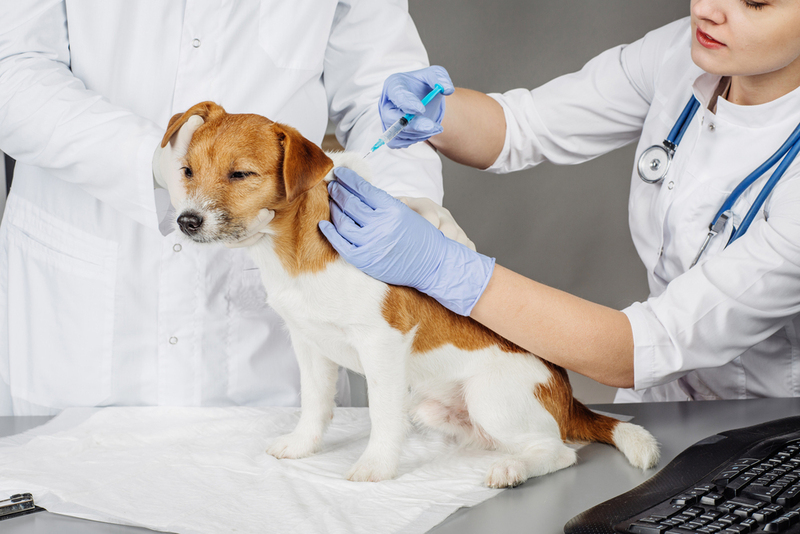 You can discuss the schedule with your Johnston veterinarian to determine when to come back for your pet’s vaccinations. We offer the full range of pet vaccinations for dogs and cats. For dogs, we utilize a vaccination that protects from canine distemper, hepatitis, parainfluenza, corona virus and others. Dog owners can elect to add Bordetella and leptospirosis vaccinations to prevent these bacterial infections. Rabies vaccinations are typically required after six months of age, if not sooner, and then yearly thereafter. Cats receive a core vaccination that includes protection against feline calicivirus and feline panleukopenia. The vaccination process is very quick and easy to complete. You can stand near your pet while the veterinarian administers the vaccinations. Your pet may experience momentary discomfort from the injection but will return to normal quickly afterward. You may help your pet make a quick recovery by providing treats and praise. Your vet will let you know about side effects to watch for and provide instructions about when to contact the clinic. If you need to schedule an appointment for pet vaccinations in Johnston, give our team a call at 515-270-2240. During your time at our clinic, we will walk you through the vaccination process and answer all your questions in full. We eagerly await the chance to partner with you in the care of your beloved pet.